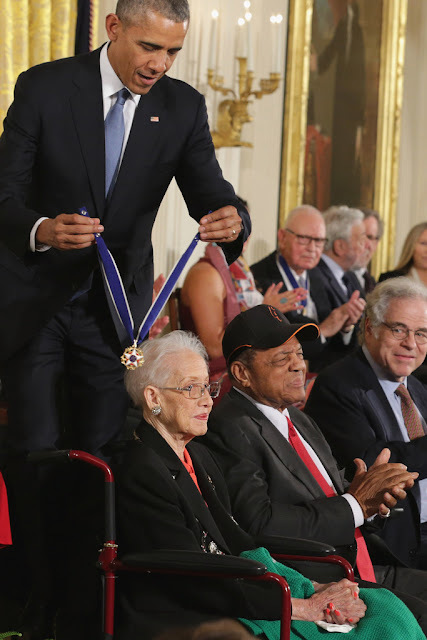 Happy 99th Birthday to Katherine Johnson, NASA's "Human Calculator"
Saturday the 26th of August marks the 99th birthday of Katherine Johnson, "The Human Calculator" who was key to the early success of NASA. I'd spend time telling you about Johnson, but suffice it to say she overcame the gender and racial discrimination of her time to become a key player in America's space race. 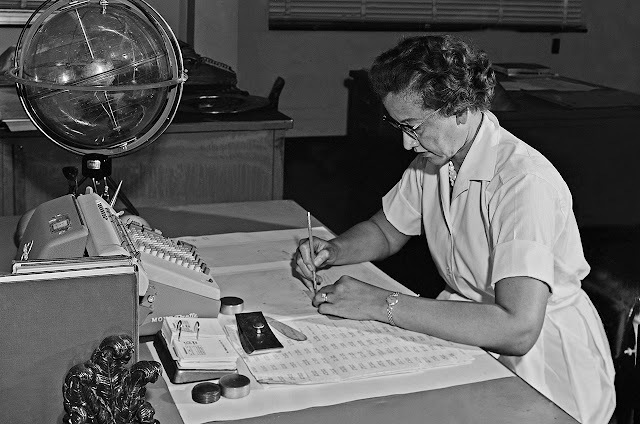 A physicist and mathematician, her natural ability to rapidly and accurately calculate complex equations necessary for figuring trajectories, etc... in the days when we were still doing this by hand instead of super-computer, made her an invaluable asset. So if you still don't know who she is, get thee to Wikipedia. And take two hours to watch Hidden Figures. It's a good movie. this was during the Holidays, 2016. Raylan is considerably bigger and chattier now. These days The Admiral has a more important title, that of "Papa" (which, to my ear, always sounds more like "Pop-Pop" when Raylan says it). 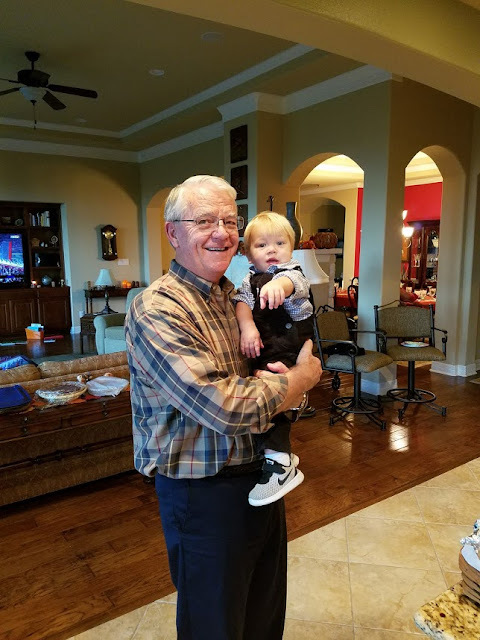 Raylan's my nephew, so I'm not around all that often for their interactions the way Jason is, but when I do listen to my dad and Raylan, holy smokes, do I have flashbacks to how we wrangled me and Jason when we were little. Where my mom was all about a two-pronged approach of (a) getting us out of the house and educated by osmosis via experiences and (b) reading*, my dad was the one who couldn't leave well enough alone when we were performing mundane tasks and turned it into a lesson. "You know how a telephone works?" you might suddenly hear. Well, no, Dad, but I bet by the end of this conversation I will, you'd say to yourself. This is not a complaint, by the way. I was the only kid in my 4th Grade class who understood the principles of lift, thrust and wingshape or how radio waves work. In middle school it was how companies and combustion engines work. In college it was rotary engines. I don't think we've completed the list of random stuff my dad seems to know how it works, because you never know. Even now he's figuring out something with an artificial waterfall and pumping mechanism that I've got about a 1/3rd of the story on. Now he's got another round of well-refined "How Does It Work?" to share with my brother's kid. Just last week I saw him explaining gears to a 2 1/2 year old on YouTube. Next week it'll probably be how fishtank filters work or something. Anyway, Happy Birthday, Dad, and thanks for all the impromptu lessons that made me unbearable to my classmates but also occasionally surprisingly handy.